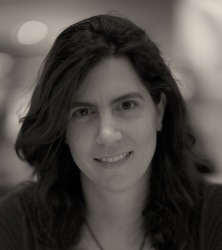 Tamara Munzner is a professor at the University of British Columbia Department of Computer Science and holds a PhD from Stanford. She has worked on visualization projects in a broad range of application domains, including genomics, evolutionary biology, geometric topology, computational linguistics, large-scale system administration, web log analysis, and journalism. Her research interests include the development, evaluation, and characterization of visualization systems and techniques from both user-driven and technique-driven perspectives. This entry was posted on Monday, March 20th, 2017 at 13:00.